We love trekking. It’s not just about exhilarating adventures, stunning landscapes, and great camaraderie. When we trek in wild places that are serenaded by rustling leaves and the cries of birds, the world suddenly makes sense. Everything becomes clear. Questions are answered. 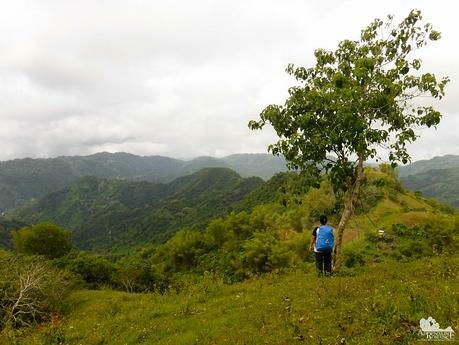 Trekking the Cebu Highlands Trail in Cebu, Philippines gives each of us a chance to truly commune with ourselves. The early morning air in Cebu’s highlands was chilly. But that failed to freeze the warmth of our excitement. Part of the reason for that excitement was because this was our first time to broadcast live videos of our adventure after I bought my first smartphone. It was quite exciting to see people viewing and liking our broadcast as we stammered, giggled, blushed, and spoke awkwardly in front of our phone camera. 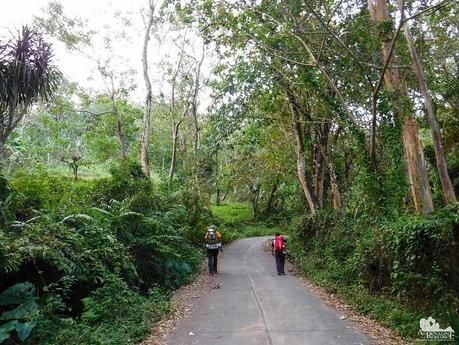 Starting from the mouth of Tugop where we exited during our previous trek, we walked up a steep paved road to Mt. Babag in Guadalupe. The fresh, crisp air failed to penetrate its chilly attack through our bones. The steep, fast-paced warm-up had us huffing and puffing; and our sweat poured down from our faces in large rivulets. As we went higher, we saw Mt. Pung-ol and Sirao Peak in full glory. 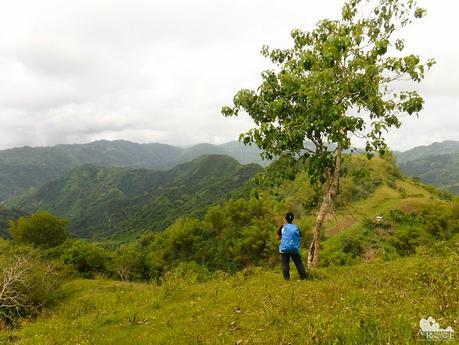 These mountains are popular trekking destinations for Cebuano outdoorspeople. While we treat these mountains as leisure and adventure destinations, many people consider them home. Many people depend on these magnificent geological formations as sources of living and instigators of unique cultures. 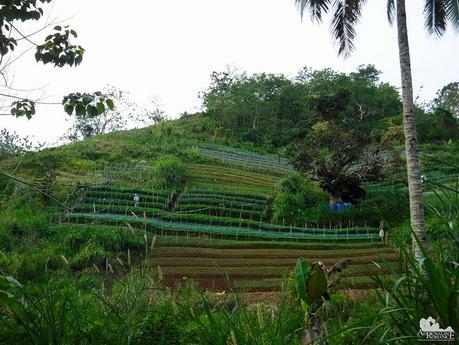 We saw rows upon rows of vegetable and flower gardens on these mountain slopes. Local farmers harvest these and immediately sell them in the lowlands, either directly or through vendors. We took a short stop at a small store clinging to the side of Babag Ridge. While we snacked on some bread and hot coffee, we rested on the store’s bamboo-made viewing deck, which offered a great view of Cebu City. The weather forecast though wasn’t looking good. From our viewpoint, heavy rain has started to pour in the city, and dark, gray clouds were definitely heading our way. Finishing our post-breakfast painit, we continued our trek to Mt. 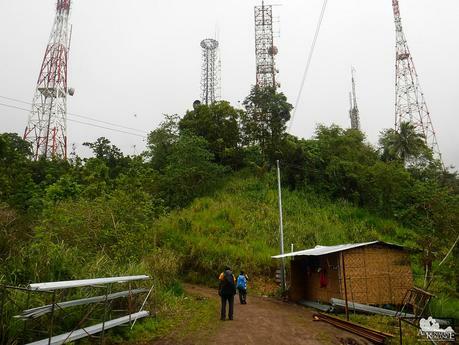 Babag’s summit, marked by a cluster of gigantic communication towers. A steady electrical hum—strange and out of place in the stillness of the mountains—buzzed as we passed by the towers. Along with Mt. Pung-ol and Sirao Peak, Mt. 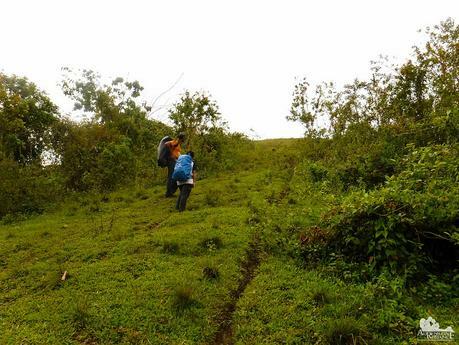 Babag is a very popular local trekking destination due to its accessibility and less expense. 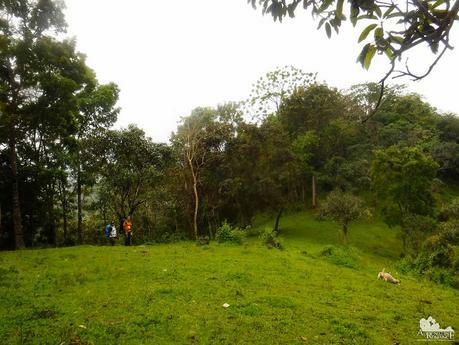 Its steep trails and loose soil make it an ideal training ground for trail runners and mountaineers. Rain, pouring down in heavy sheets, overtook us as we passed by the summit. 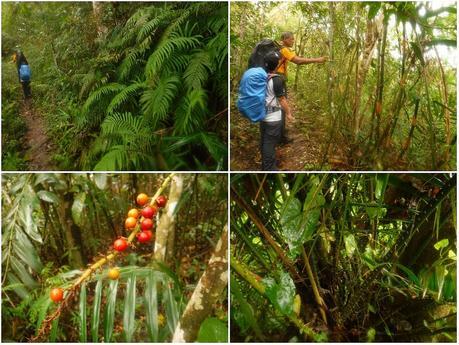 However, as we followed Babag Range’s main ridge, we entered a dense forest that offered us protection from the brunt of the bad weather. The lofty trees acted as umbrellas and walls, but the refreshing rainwater gave us a continuous surge of energy. 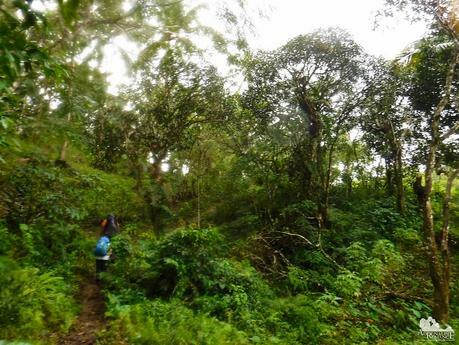 It’s really cool to see that there are thick and healthy forests like these in Cebu. 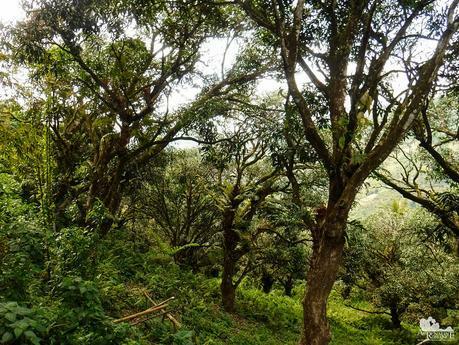 Deep within the leafy canopies are a rich collection of flora and fauna, several of which are endemic to our home island. Green hills and grassy clearings sometimes break the forest cover, allowing us a nice view of the sky and the surrounding areas. 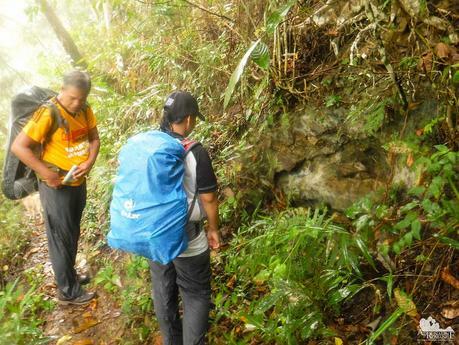 Sir Jing showed us something of an enigma—a dark hole in the rock. It is big enough for an average-sized man to crawl through. Sir Jing said that this was one of the tunnels used by Japanese soldiers to move around in secret during World War 2. As Americans liberated the Philippines upon the return of General MacArthur, the Japanese retreated to the mountains to instigate guerilla warfare, hiding from and ambushing American-Filipino patrols. Today, the entrance of this tunnel is covered with foliage, and it wouldn’t be a surprise if we see some parts of the tunnel have caved in. This old tunnel is a grim insight of man’s never-ending nature for conflict. We had to test our agility at some points of the trail. 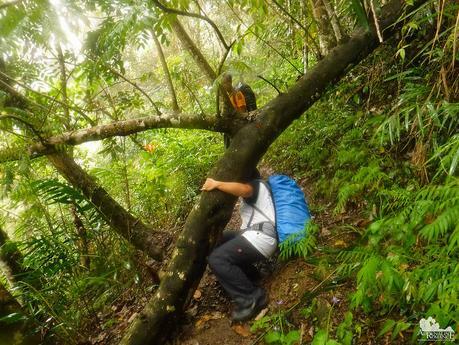 We crawled under fallen trees, stradled fallen branches, and shimmied on narrow parts of the trail. Wild ferns. Many of these have culinary and medicinal properties. Bocaue bamboo. These fast-growing bamboo species is used for making furniture. Rattan. This is a climbing palm that is primarily used in making furniture. Those sharp spines deter animals from eating the plant. Berries. Don’t just eat any berry you find in the forest. Some of them are poisonous! As we came out of the forest, the rain stopped and the sun shone through a thick layer of gray clouds, vainly trying to touch the land with its rays. 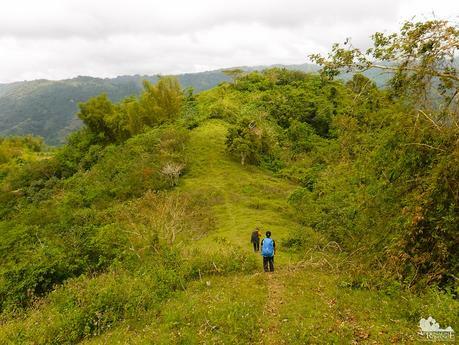 We climbed a large, steep hill that Cebu hikers colloquially call Muffin Hill due to its distinctive shape. With a steady pace, we reached the top of Muffin Hill at around 9 AM, three hours before our projected arrival here. This was supposed to be our lunch point, but we arrived way too early. 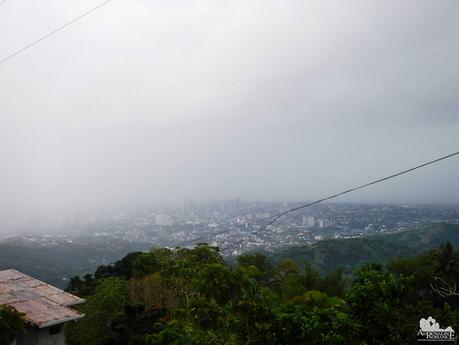 From the top of the hill, we could see a 180-degree view of the highlands including a section of Metro Cebu’s south. Across us is Bocaue Peak where we came from. 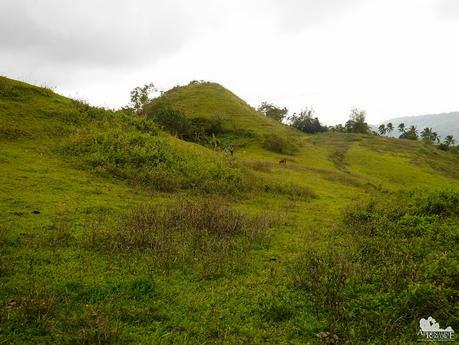 The peak is named after the forest of Bocaue bamboo that covers the peak. What a beautiful view! 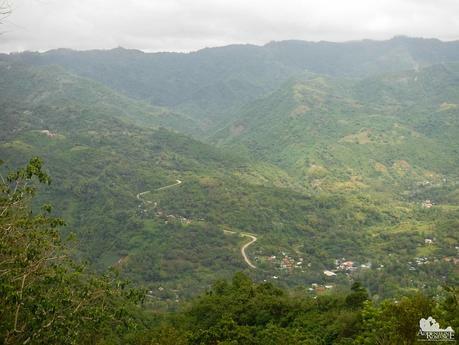 From this vantage, we could clearly see the barangay of Sudlon II way below us. 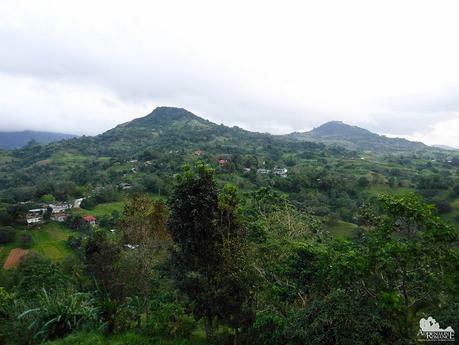 Sudlon II is nestled in a bowl-like valley surrounded by mountain ranges that make up Cebu’s central spine. After a Gatorade-fueled break, we descended from Muffin Hill and walked across vast grasslands. The air was still cool and refreshing, but we felt a tinge of warmth as the sun shone brighter. The land gave off a sweet, earthy scent as if the earth was dousing itself in perfume. This smell is called petrichor; it is caused by rainwater reacting to an oil secreted by plants as well as certain species of bacteria. 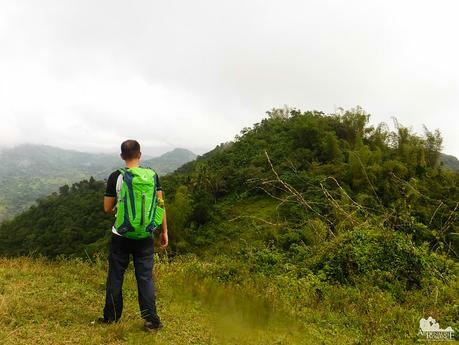 The varied terrain of Cebu’s highlands rivals that of more exotic places in the country and, perhaps, the world. Ridges and natural “viewing decks” offer all-encompassing views of far-off farms, valleys, communities, and forests. 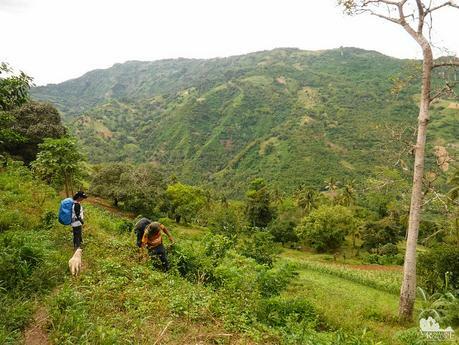 It’s also surprising to know that Cebu has not just one but a whole lot of mountain ranges—a far cry from the satellite view as seen in Google Maps. In this mountain ranges are secrets that are yet to be discovered. We have been walking for a few hours, and since we left Mt. Babag, we haven’t seen any other soul except ours! It was a strange but liberating feeling to see no people around although we found artifacts that prove the presence of human activity—a little bit of trash here, an “abandoned” cow there, a small empty shelter in the distance, the faint drone of someone singing karaoke several miles away. At times, we go through these weird natural tunnels made of trees. Isn’t nature amazing? I mean, how did the trees “know” that they’re going to make a tunnel altogether? Going through this tunnel made us remember our trip in mysterious Nogas Island in Anini-y, Antique a few years back. We found white polypores sticking on the trunks of rotting trees. 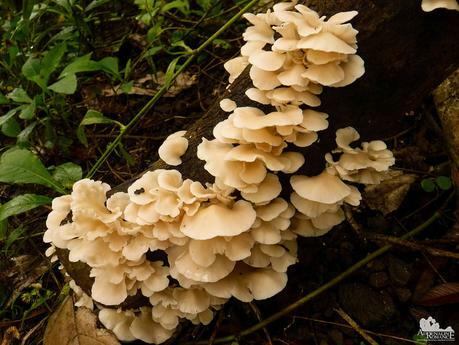 These fungi feed on dead plant tissue, becoming an integral to the life cycle of the tree. As the tree decays, the polypores produce carbon dioxide and cycle nutrients for young trees and surrounding plants. Because they are so common, polypores are used by botanists as excellent indicators of a forest’s health and inveterate diversity. We seldom see or visit stunningly beautiful places like these. 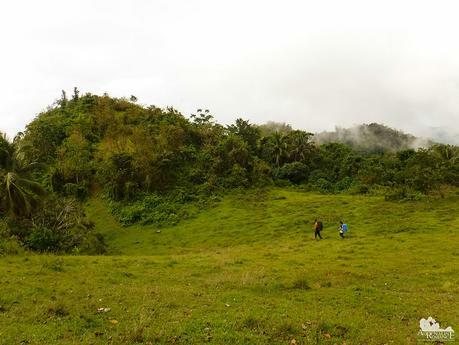 We have our own version of Scotland’s glens, New Zealand’s meadows, or North America’s prairies right here in our own tropical island of Cebu. We also found a strange artifact—a mohon (marker) that points to the wrong places! Close to 12 noon, we came across a small house right in the middle of nowhere. The kind lady gave us a warm welcome and allowed us to stay in her yard where we can take our lunch. The other members of the household—a few roosters, two dogs, and a goat—joined us, driven by curiosity and a little bit of hunger. 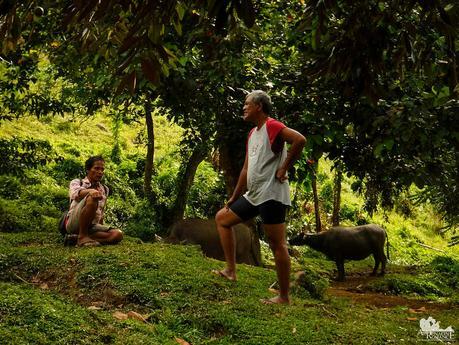 Here in the mountains, you can definitely feel and experience real, genuine Filipino hospitality despite the locals’ occasional wariness of strangers. We snoozed off for an hour before proceeding our way to the day’s destination, the shoulder of Mt. Samboryo. We thanked the kind madam and continued on our way to our campsite. We walked silently, marveling at the living green carpet that surrounded us. We also encountered these gnarly trees along the way. 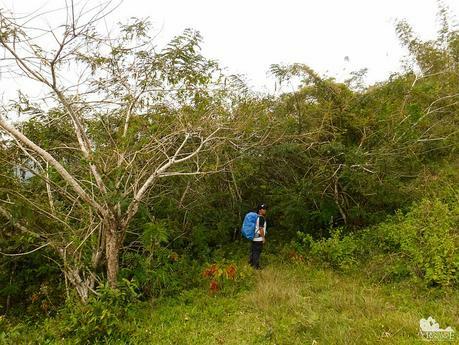 Sir Jing said that these are ancient remnants of Cebu’s original first-generation forests. These are a species of mango trees, but they haven’t bloomed and bore fruit in years. Let us give you a snippet of today’s commercial mango industry. Mango trees are naturally unpredictable when it comes to blooming. This unpredictability puts a mango-producing business at a severe disadvantage. To coax the trees to bear fruit regularly, agricultural chemicals and pesticides are sprayed on the trees. That’s why before eating that sweet, luscious mango, make sure you wash the fruit thoroughly to get rid of the chemical residue. There will come a time in your life when uncertainty binds you in its iron grips. What do you exactly want? Where are you going? Why are you here? What’s the meaning of your existence? How can you make a difference? You can’t hear the answers in the din of doubts and confusion. Sometimes, you have to go out there—in the middle of stillness, loneliness, and serenity—so you could hear the whispered answers. Sometimes, you need to gut it out and face the challenge so you will be worthy of those whispered answers. At one point on Mt. 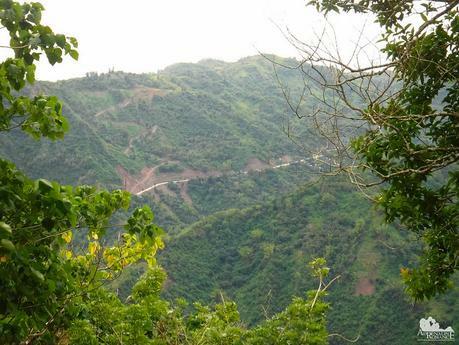 Samboryo, we could see Manipis Road, winding its way around the slopes of central-southern Cebu. Before the Naga-Uling Highway was paved and established, people travel through Manipis Road to ply between Metro Cebu and Toledo City. “Manipis” in Bisaya means narrow, and the namesake is definitely fitting. Manipis Road is just wide enough for two van-sized vehicles to travel side by side, with less than a foot of space to spare between the van’s tires and the abyss below. Stories of people and vehicles falling off the deep ravines alongside Manipis have given this road a menacing reputation. 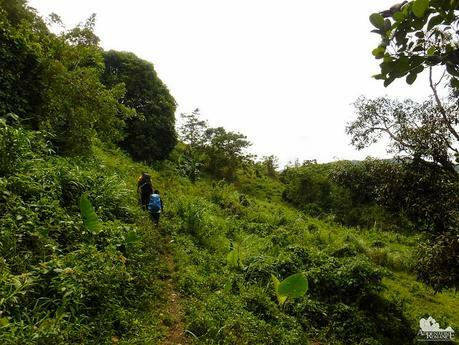 We thought that we’re going to follow the trail to the very end when Sir Jing turned left and carefully descended a slope of loose soil towards a farm just below us. By the way, see that light-brown dog behind Sweetie? This four-legged furry accompanied us all the way from Mt. Babag! Sometimes, she scouted the trail; and at times, she followed us. She also went into the bushes then suddenly appeared beside us a few minutes after. We’re total strangers, but this little canine guide definitely trusted and loved us! Again, we had a perfect campsite—a grassy grove sheltered by the adjacent Mt. Samboryo—two hours ahead of schedule. Two leafy trees made perfect tie-in posts for Sir Jing’s hammock and A-tent. The flower farm nearby gave off a fresh, sweet scent. There was a water source a short distance from the campsite, but we didn’t have to go there to fetch water. Friendly local farmers who were taking care of the farm shared two gallons of their fresh water with us; they said it’s extra weight for them. Hahaha! 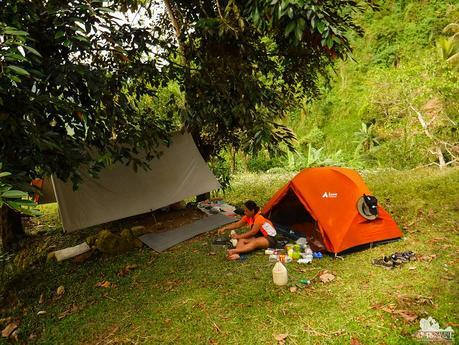 We pitched our tent, changed into dry clothes, and prepared dinner—chunky and creamy macaroni soup, crispy bangus (milkfish), and some local sausages left over from lunch. Of course, we fed the dog who faithfully accompanied for more than 15 kilometers. While we prepared our meal, Sir Jing took time to talk to locals. 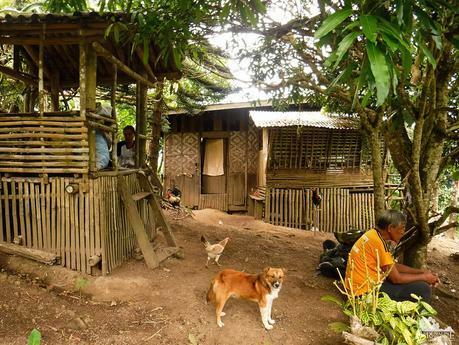 Locals share very interesting stories of their lives, their place, and their culture. 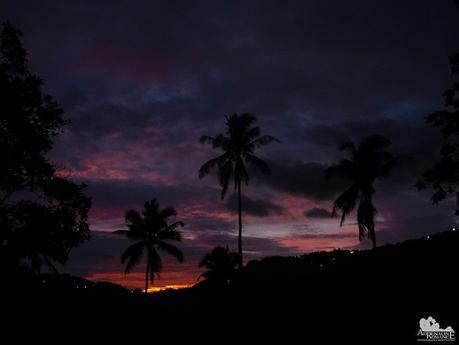 We waited until the last sliver of purple light before we closed our eyes and snoozed off. 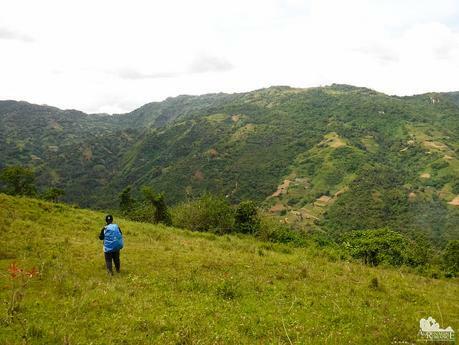 Hiking another 15 kilometers of CHT’s Segment 1 is pure bliss. Within the stillness of the trail, it is not difficult to feel the spirit of the mountain talking with your soul. Watch out for Part 2 of the CHT Segment 1B in the next post. Itinerary, budget, and other tips for this sub-segment will also be included in the article.